... and half a year later, I'm back (again)!!!!!!!!! Well, while I acknowledge there have been too many pauses on my painting progress, I've reached a conclusion: My will to paint comes in waves (some longer than others) and there's no point in forcing it, since the main objective of this hobby is simply to have a good time doing something that makes me feel relaxed and happy. 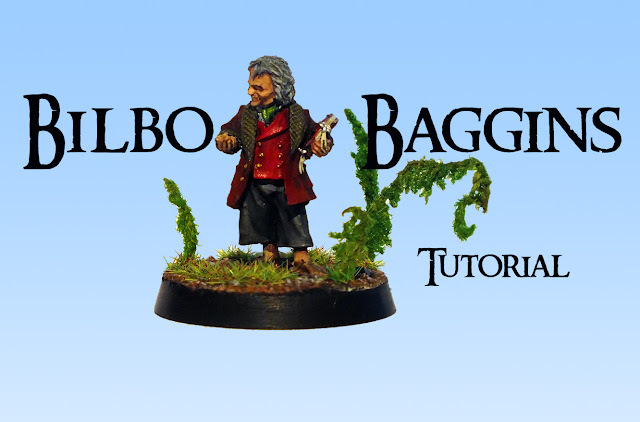 With that said, here's the so long promised tutorial on Bilbo Baggins at Bag End (from the Lord of the Rings, not the Hobbit). 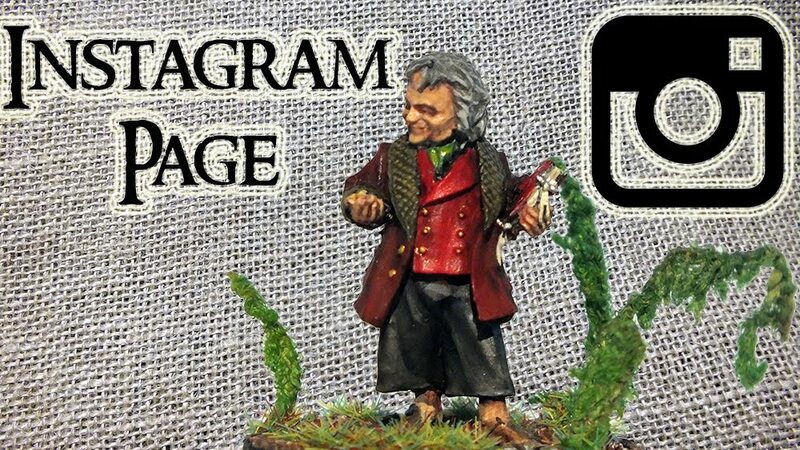 The miniature belongs to the magazine nr62 of BGiME. 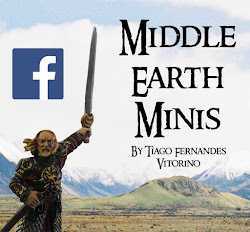 For this tutorial I have decided to try a new approach. 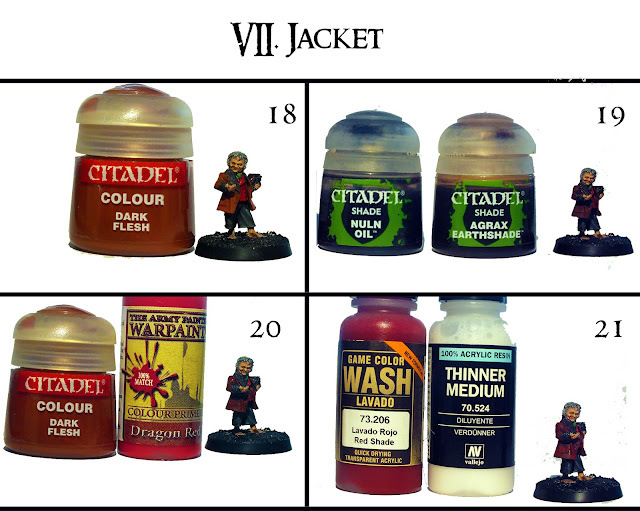 There are some aspects that surely need to be re-worked (mainly concerning the photography style), but overall I intend to keep this type of tutorial on my future posts. With his hair, I tried to give it a grizzly look, all with greys. 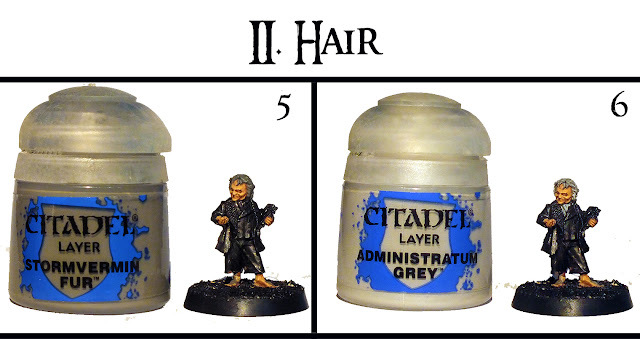 I'm pretty happy with the Administratum Grey highlight. and it needed to get, somehow, noticeable. 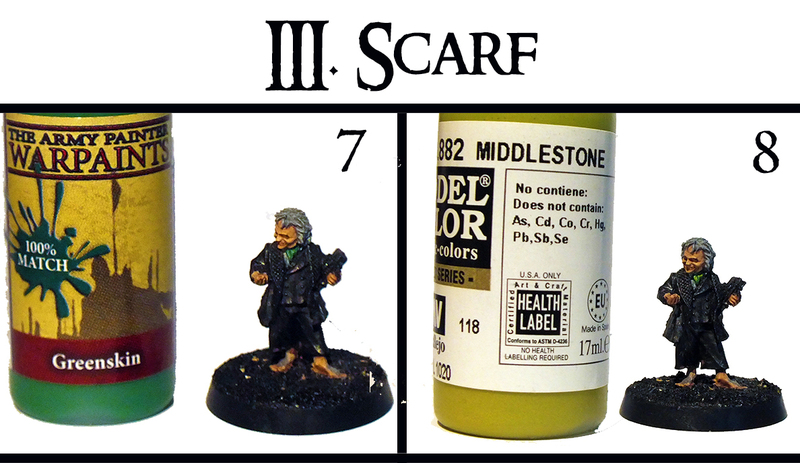 followed by a Vallejo's Middlestone edge highlight. 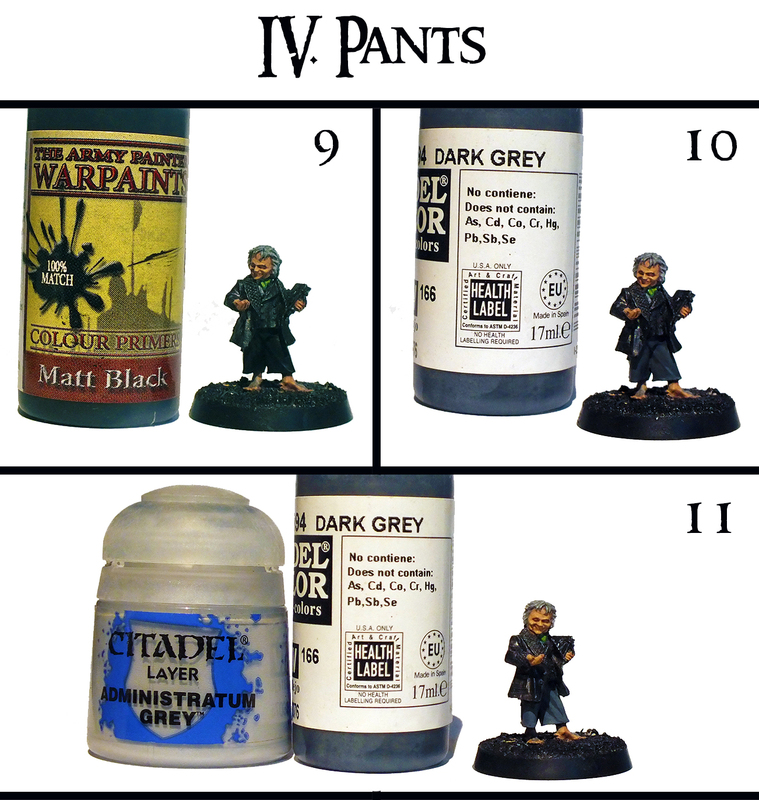 Seemingly simple, the pants are one of the most laboured parts of this model. I wished to try something dark to have a bit of contrast with all the brightness. first with the darkest grey, and then with a few mixes with a lighter one. 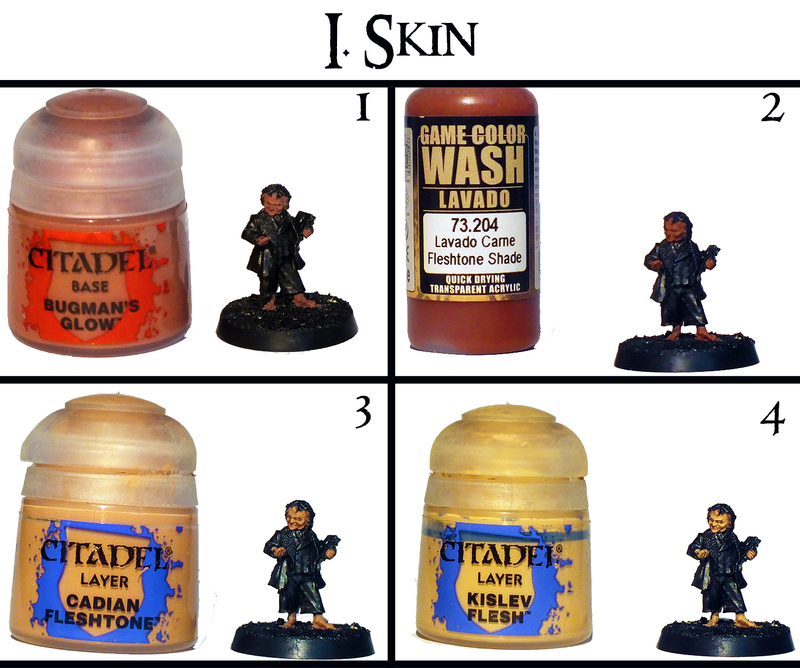 and ended with a Nuln Oil glaze, to blend all the grey's together. so I tried to play a bit with a wide variety of red's. 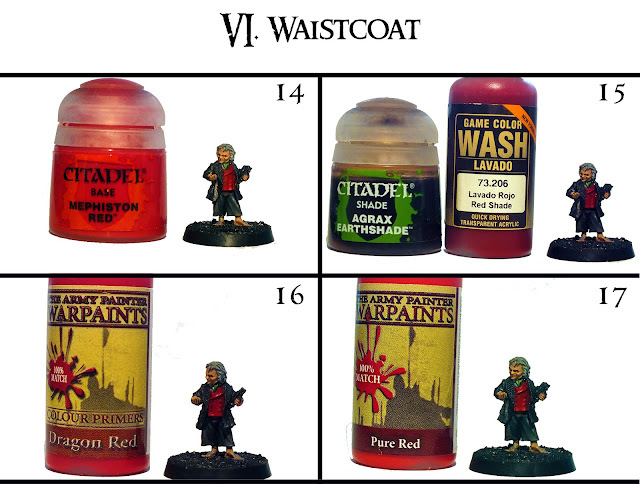 with Vallejo's Red Shade when doing the washes. I decided to make it darker with a brownish hint. All the shades for this were essential. 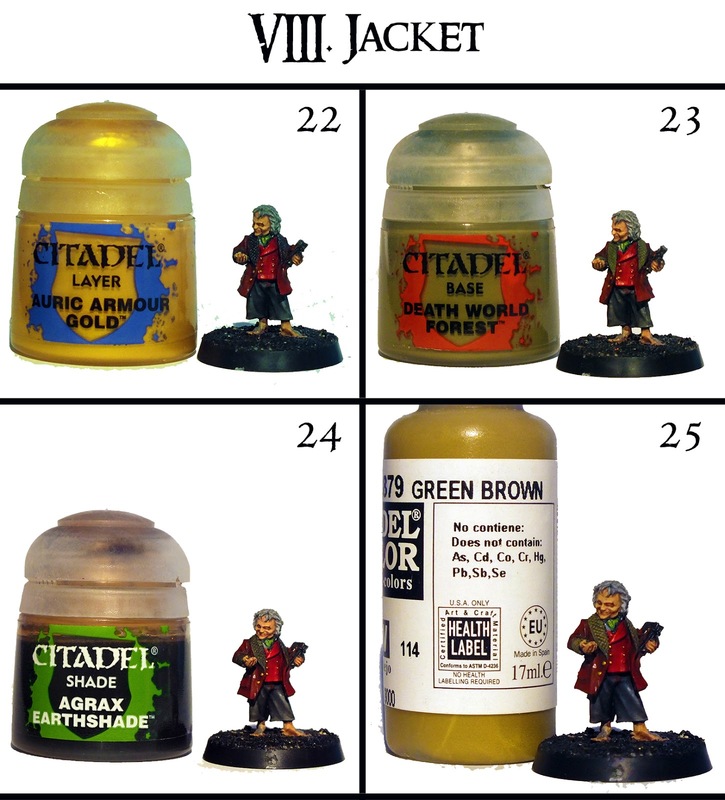 For the really small buttons (both on the jacket and the waistcoat), I used GW's Auric Armour Gold. As for the inner part of the jacket, I decided to use earthy green's, washed with Agrax Earthshade. 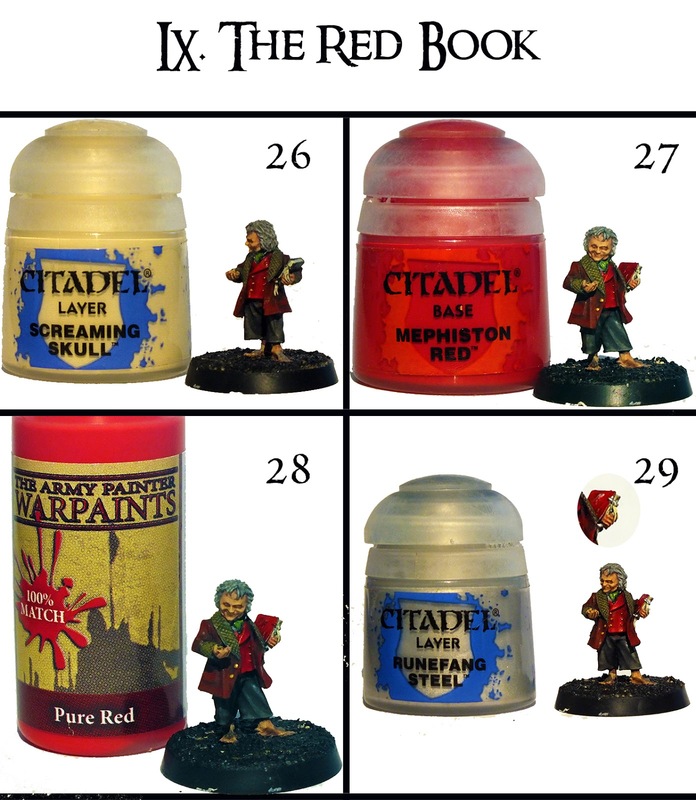 Bilbo's red book (I'm sorry for the small images of it) was quite a task. I've used Screaming Skull for the pages, and then proceeded to the highlights. The small details were all made with Runefang Steel with all the caution in the world. on which the main difficulty was the fact that it is a really small model. I hope you guys enjoy this form of tutorial. 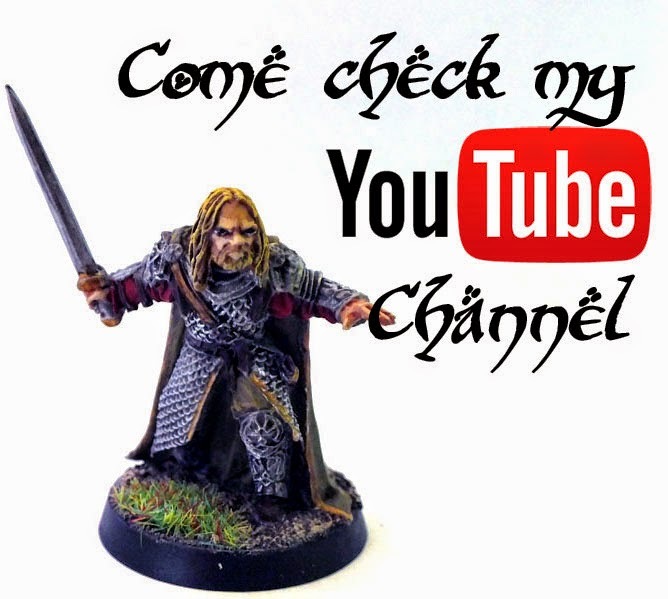 Happy hobbying to you all!!!! 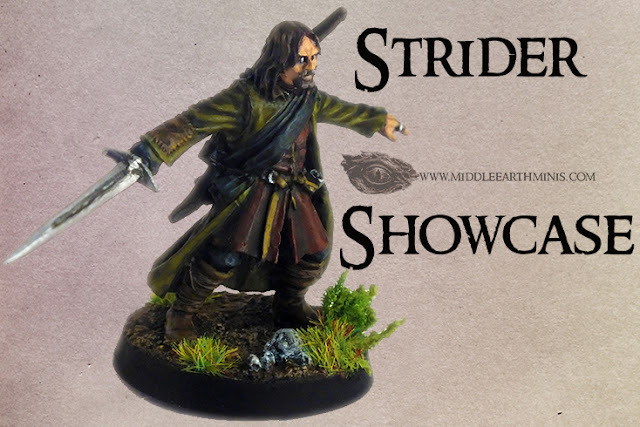 Bilbo looking great! thanks for a tut!